The transferred use of pube is based on word play—the similarity of the words pubic and public. It may be seen as a crude dig at public servants and their sheer weight of numbers in the local population, but it is possible that its origin lies in a simple typing error: public servant to pubic servant is just a slip on the keyboard. It is an error still easily found in online Australian newpapers today, and as a columnist below notes, the joke is irresistible: ‘Typos evoke comical images — just ask a pubic servant’ (Sydney Morning Herald, Spectrum, 5 Jan. 2013). From pubic servant to pube is a short step. Given the back-handed compliment, the claim that it is an affectionate term must be taken with a grain of salt. 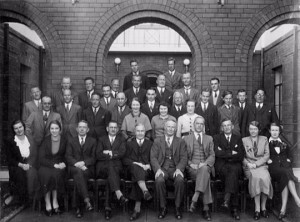 The contribution of the APS to the nation’s capital is well recognised by many Canberrans, and in this centenary year many public servants* will celebrate their role (past and present) in helping to create Australia’s capital city. Perhaps some may even enjoy the self-mockery of pube. 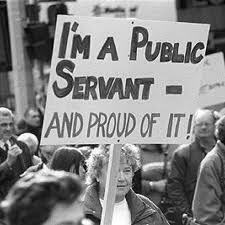 *The convict origin of the term public servant will be the subject of a later blog. This entry was posted in ANDC, politics, regionalism, slang and tagged Canberra bashing, Canberran, pube, public servant by Mark Gwynn. Bookmark the permalink.